The Rugby World Cup 2015 is starting tonight and we can feel the Nation getting more excited by the second. Sometimes you may not have the space to host a Rugby Party in the home, but have you thought of throwing a Rugby themed garden party? Throwing a garden party is so easy to do PLUS if you have a garden building you can transform it into the perfect entertaining space. 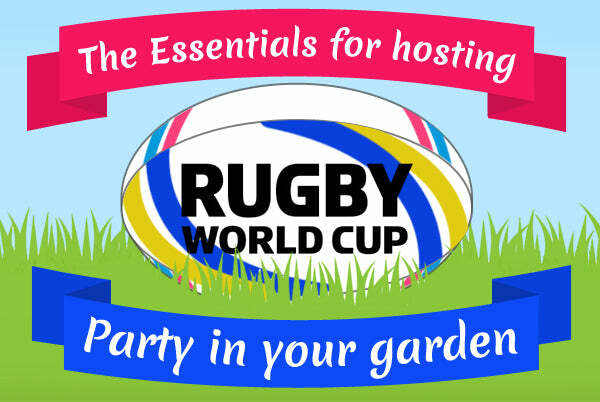 Here are our tips for hosting a Rugby World Cup garden party with ease. A garden building such as a shed, summerhouse or log cabin is the perfect spot for hosting a garden party. 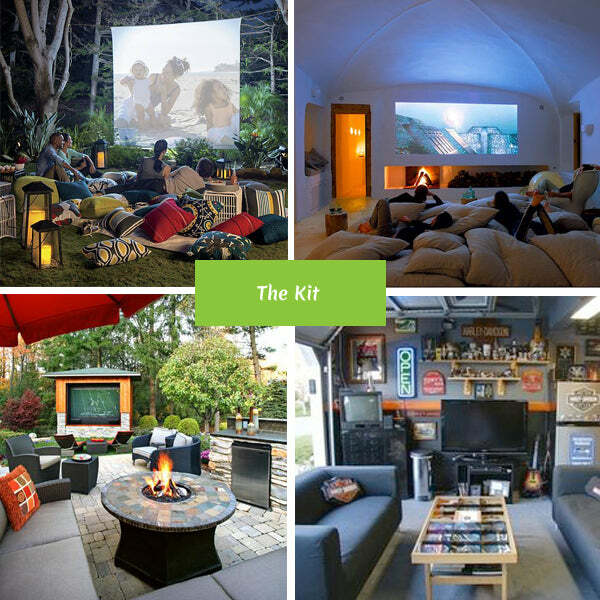 You could turn the shed into the watching area complete with a mini bar to keep everyone topped up easily throughout the game. If you don’t have a garden building to work with and would like a space to be able to watch the match in without getting rained on, then get yourself a marquee. Marquees are relatively cheap to buy, plus you can use them for lots of events to come. At half time and after the game has finished, you will have an opportunity to continue to entertain your guests. This can be done easily by providing a rugby ball for a throw around, or play some Rugby themed trivia games. Of course card games and the cheeky drinking game or two will go down a treat ;) . Pick three traditional flavours of the countries competing such as England, Brazil and Italy and use them as inspiration for food. 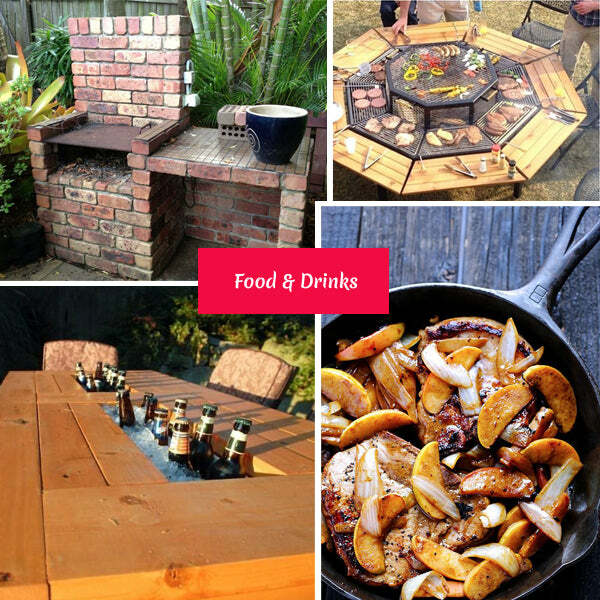 You could serve Italian pizzas, Brazilian barbequed kebabs or English fish and chips. Whatever you choose keep it simple, you don’t want to be messing around in the kitchen and missing all the good bits! 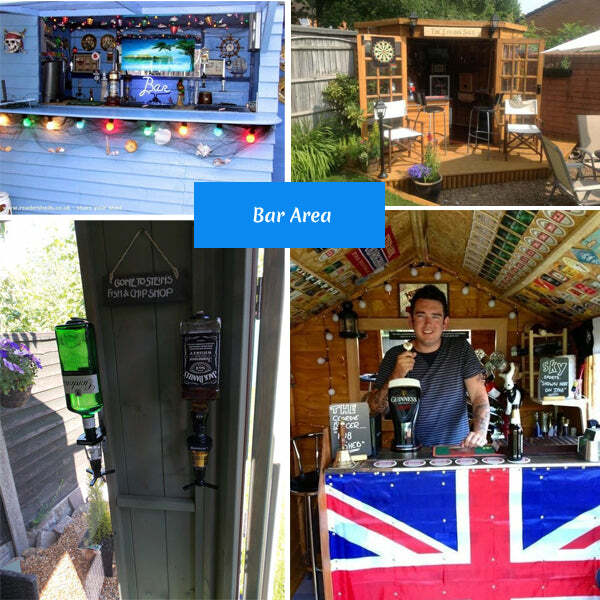 If you want to go beyond beer and cider for drinks, you could go with the country theme with drinks too and serve traditional cocktails such as Pimms, Sangria and Moijtos. It’s beginning to get dark fairly quickly now and you don’t want your guests talking to each other in the dark. Solar powered lights work well and outdoor fairy lights are great for creating a soft atmosphere. Battery powered tealights are also great in jars or cans with holes in if you are on a tighter budget. Flag bunting is essential to a Rugby party. 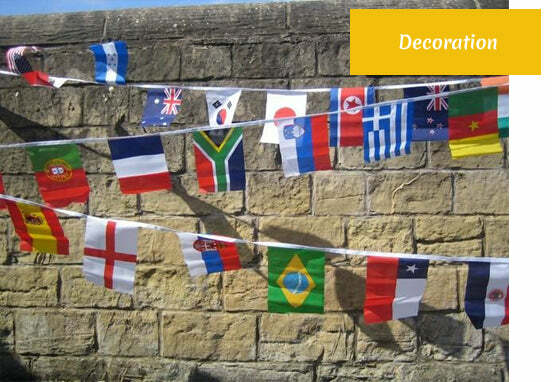 Pick your favourite teams flags and put them around your garden. If you are having the party in the shed you could put up posters of your favourite players. Rattan garden furniture is very garden party friendly as are outdoor bean bag chairs, wooden benches and camp chairs. If you have lots of guests attending, when you invite them add a BYOC – bring your own chair, that way you don’t have to worry and everyone gets a seat. Will you be throwing a Rugby themed garden party? Got any tips to add? Tell us in the comments below. Essentials of hosting a Rugby World Cup garden party by Waltons Wed Ltd is licensed under a Creative Commons Attribution-NonCommercial-NoDerivatives 4.0 International License. Based on a work at https://www.waltons.co.uk/.